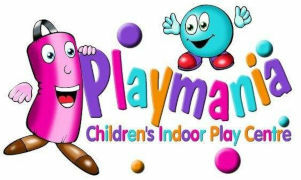 Playmania is a purpose built indoor soft play centre designed for use by children aged 0-12 based on Chesterfield Road South in Mansfield. Consisting of a large 3 storey play area for over 4s incorporating a giant 4 lane astra slide, a 2 lane drop slide, dizzy discs, spinning doors, rope bridge and so much more. Everything has been designed and built to make Playmania a relaxing, ultra-safe environment for both children and parents alike. As the owner of Playmania, I lived in Hucknall most of my life, attending the Holgate school and playing football locally throughout this time. In 2014 I purchased Playmania Mansfield Ltd, which had been operating since 2004. I have since opened up a Brand New Soft play centre also in Hucknall, Squiggles Playden. I hope you and your family enjoy your visits to our centres for many years to come.